Work with our professionals and let us help you find a vehicle that can provide you with the comfort, the capabilities, and the lasting appeal that you know you deserve. Whether that happens to be a car, an SUV, a minivan, or one of our fantastic Dodge Ram trucks or Grand Cherokee’s for sale in Lloydminster, Lac La Biche, Bonnyville and Vegreville, you’re going to be in good company with the team at our store. We endeavour to offer a superior service that provides you with the context and the details you deserve to make an informed decision on your next vehicle. With the selection and expertise that continues to bring drivers back to our store, we’re confident that you’ll appreciate the wide variety of options awaiting you at Bonnyville Dodge. Reach out to us if you would like assistance and we’ll be pleased to offer you the reliable service that puts you into the driver’s seat of an impressive car, minivan, SUVs, or truck like the Dodge Ram 1500 for sale in Bonnyville. Choose to work with our team and know that quality and satisfaction are our key principles. 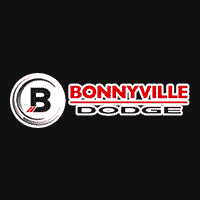 You deserve a wonderful driving experience – come and find it with the team at Bonnyville Dodge. We’ll get to work providing you with the rewarding experience that puts a smile on your face and the appreciation that you’ve made the right decision by coming to us for your next vehicle or service. Choose to drive one of our preferred brands, including Chrysler, Dodge, Jeep, and Ram vehicles like the Dodge Ram 1500 for sale near Lac La Biche and Athabasca. With the exceptional efforts that have gone into making each of these vehicles such a fantastic representative of modern driving – you’ll have all you need to enjoy your driving experience all the more. Find out more today by reviewing our website or by stopping by our store! We have the results you’re after at our store!